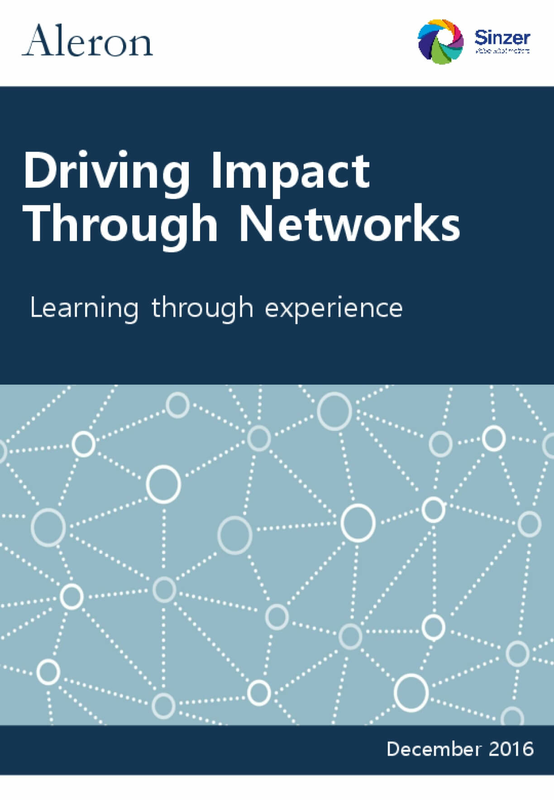 This paper provides an overview of current thinking on network impact, pulling together insights from Aleron, a social impact consulting firm, and Sinzer's (that offers software for measuring impact) recent network impact event, and offers case studies looking at the way different types of networks provide value for their members. The report identifies three models of network; those that are formally integrated, that share a common platform, or that share a common language of success. It offers a framework for evaluating the impact of each type. Copyright 2016 by Aleron. All rights reserved.